Get smart tips and solutions before you buy digital camera, gadgets, smartphones, laptops and other electronic devices. Despite the tight competition from Nikon and various brands of smartphones that have qualified photographic capabilities, Canon remains rigid to launch the latest digital cameras. 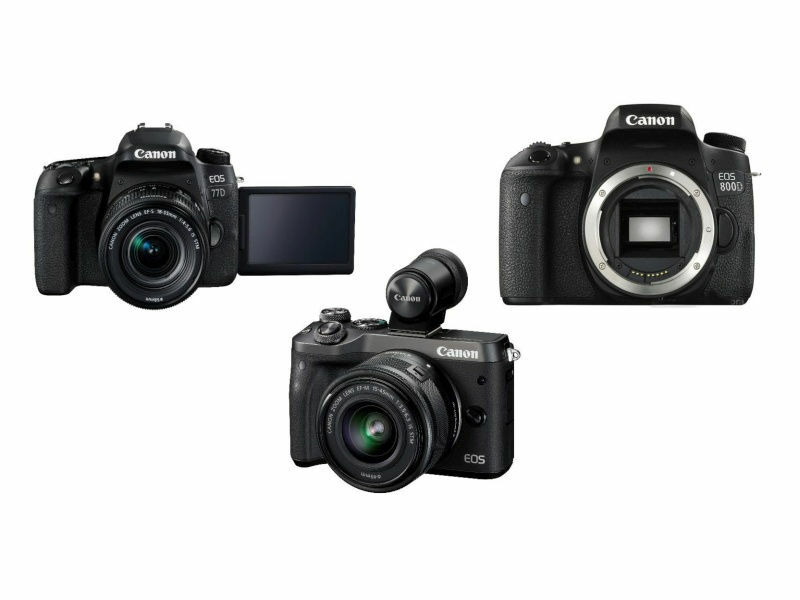 You probably already know the launch of the Canon EOS 800D or Rebel T7i. 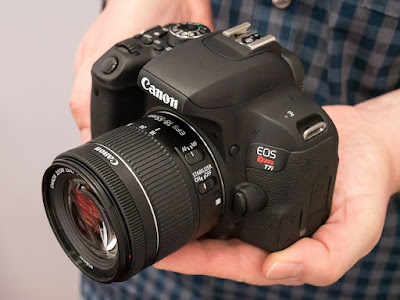 Canon also tempt you with a Canon EOS 77D and EOS M6, M6 is where Canon EOS series mirrorless camera, which is specifically aimed at those who want to bring light sized camera but capable of producing images as well as professional cameras. If you have plans to buy a new digital camera, one of the above mentioned cameras may be an option for you to use as a travel companion, a photography business or to make a video, which may be uploaded to YouTube. By the way, which will be your favorite? 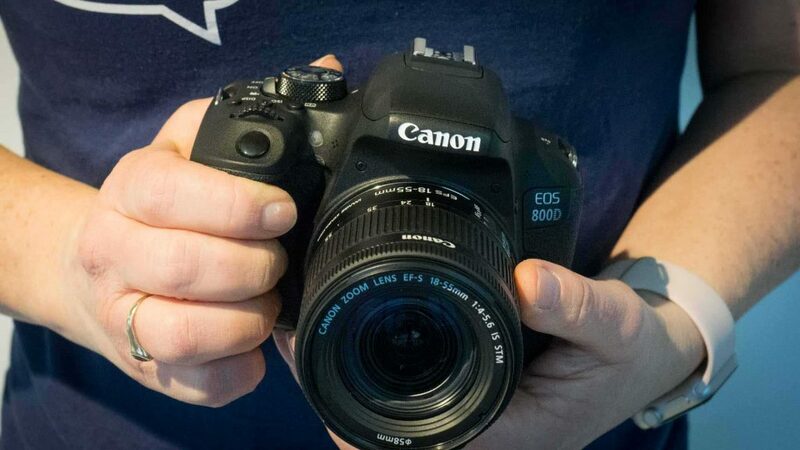 However, if you begin to seriously pursue the world of photography, it looks like the Canon EOS 800D or also known as the EOS Rebel T7i could be a good start. The EOS 800D is designed to continue the tradition of a DSLR camera for beginners. The 800D has been equipped with dual pixel AF autofocus technology, which is faster when you use for live view and video recording. The good news is, the phase detection autofocus system in the EOS 800D is also updated to 45 points which is more sensitive in dark light conditions. Canon EOS 800D is a true renewal of Canon's 750D series. If you still have the EOS 750D, you can only perform an upgrade to the 800D, but you better not buy additional lenses that you have today. However, if you insist, the presence of the 800D in your camera bag also be interesting. You need to know both the Canon 800D and 77D share almost identical technical specifications such as a sensor and processor used. The EOS 800D comes with a 24.2 MP CMOS with Dual Pixel AF and Canon's latest image processor, DIGIC 7. Focus System: 45 point focus (cross type) | Dual Pixel CMOS AF which is useful when focusing with live view. This feature will indeed be advantageous for novice photographers as well as for those who have experienced. If you are interested to have a Canon EOS 800D, then you will be happy, especially if this is your first camera. Why? The 800D is bundled with a new kit lens, 18-55mm f / 4-5.6 IS STM, with the smaller shape, but with a maximum aperture of f / 4 instead of f / 3.5. The price of this camera can be said interesting, especially when you compare it with the professional series. For the serious novice photographer will practice good photography for hobby or for making money, then the 800D is an excellent choice. Of course you can compare it with similar cameras from Nikon, Sony or Panasonic. According to techradar.com A host of improvements, including a new graphical interface to help beginners, should see the EOS Rebel T7i / 800D quickly become a firm favourite with new users looking for a well-spec'd and easy to use DSLR. Polished touchscreen control 45-point AF system. New 24.2-megapixel CMOS sensor with Dual Pixel CMOS AF, instead of Hybrid CMOS AF III. 45 cross-type AF points, compared to 19. By default, the 800D uses Canon's standard UI, but if desired, it can be switched to the more beginner-friendly graphic UI also found in the new 77D. To find out more about the Canon EOS 800D course you need to visit your favorite camera shop, and you can compare it with the EOS 77D, even with other branded cameras like the Nikon D5600 or the equivalent of Sony, Panasonic or Olympus. You can feel the texture, weight, size and ask for more details to shopkeepers. Be sure to look at the ulasanya renowned photography magazine or website that specifically addresses the camera and its comparison.